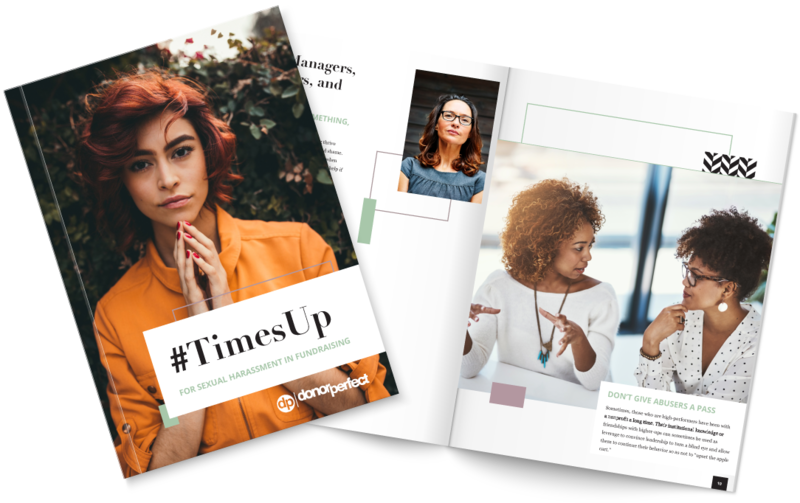 Through data, best practices, and a comprehensive sexual harassment policy template that’s tailored to fundraising, this guide is designed to help your organization protect and advocate for the fundraisers who make your mission possible. 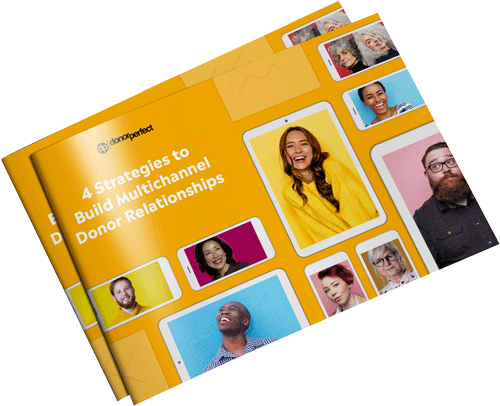 Always giving and engaging with your nonprofit, multichannel donors are interested in all the ways they can support your cause. From can’t-miss fundraising events to inspiring website content, learn what makes these valuable donors tick and how to retain them for the long run in this quick and essential read packed with stats and tips you’ll definitely want to know. 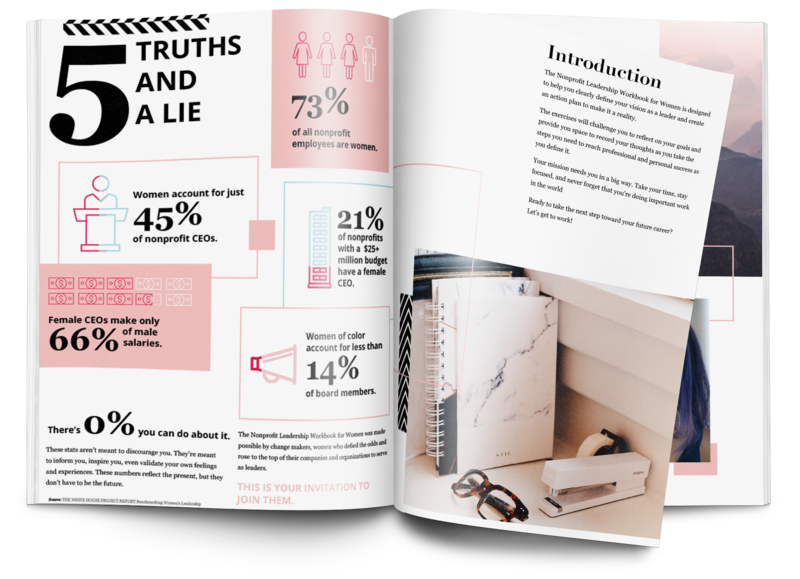 A common misconception is that it’s the quantity of donors that matter when really, it’s that smaller percentage of recurring donors that are your nonprofit’s most reliable source of revenue. Discover the metrics to determine your retention rate and learn from fundraising expert, Pamela Grow, what it takes to turn your one-time donors into lifetime supporters. 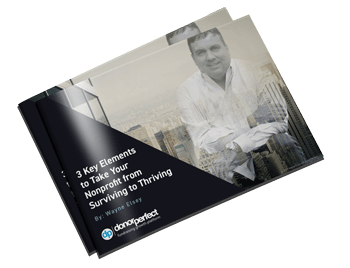 Get the Donor Retention e-book! While it may seem like a no-brainer, many nonprofits pass on pursuing grants from donor advised funds (DAF). 5 Ways Philanthropists Use Donor Advised Funds and How Fundraisers Can Benefit is designed to equip you with the information you need to move forward in making donor advised funds a reliable source of revenue for your mission. Lots of people will be looking for an organization to give to on Giving Tuesday, so how will yours stand out? The key to successfully drawing donors is to create the perfect blend of campaign excitement with easy ways to give and share. Discover many ways to shine online in the new #GivingTuesday Ideas Guide. 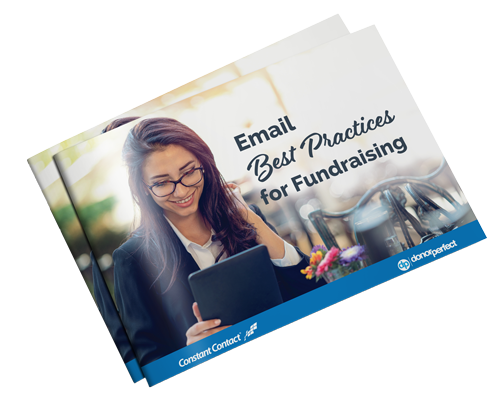 This action-oriented e-book will help you increase the success of fundraising communications through expert planning, professional presentation, donor-centric copy, and the metrics to help guide your growth. 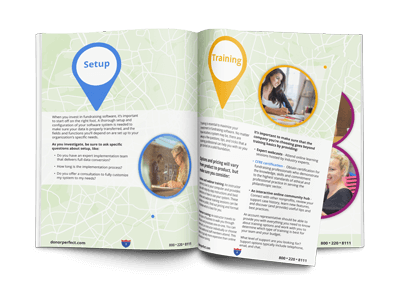 The Nonprofit Leadership Workbook for Women is an actionable guide designed to equip and empower women to seek and obtain leadership positions within their organization. Start on your path to growth today. 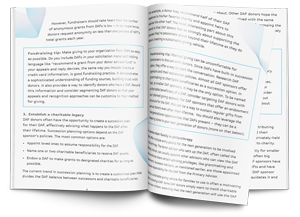 This comprehensive guide takes you through the steps of evaluating software, determining your opportunities and challenges, and matching your goals with a system to accomplish them. 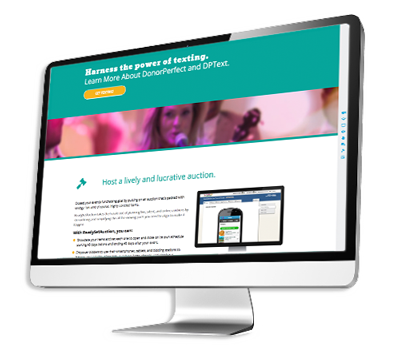 Discover the tips and tools to help your organization raise more money at events with the Essential Fundraising Events and Auctions Guide. Read the Fundraising Events and Auctions Guide! CEO, philanthropist, author, and nonprofit leader Wayne Elsey shares his three key elements for nonprofit success in his new e-book: Leadership, Vision, and Comfort with Money. Get the From Surviving to Thriving E-Book! Get ready for the greatest fundraising holiday of the year! This free get-set guide contains strategies and free templates to propel your #GivingTuesday success. Learn how data and reporting can help you operate more like a business while staying true to your organization’s mission. 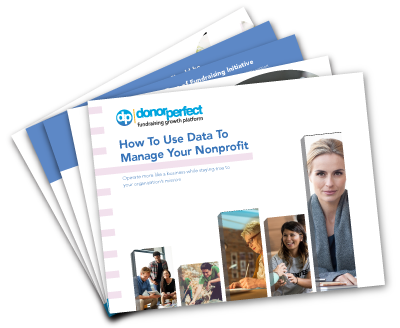 Get How To Use Data To Manage Your Nonprofit E-Book! 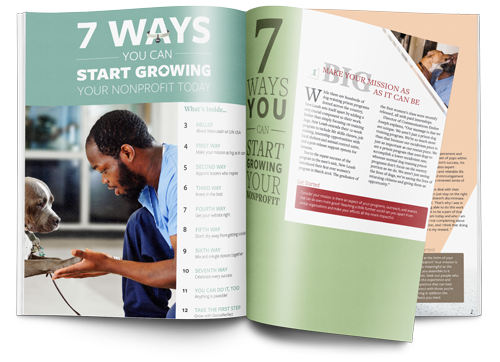 Learn 7 ways your nonprofit can follow the lead of a rapidly expanding organization to achieve growth of your own! 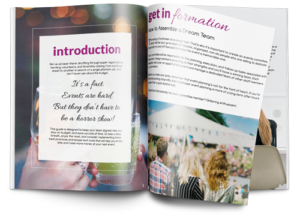 This e-book is packed with expert advice and smart tech recommendations to help you throw a hit fundraiser while staying within your budget. 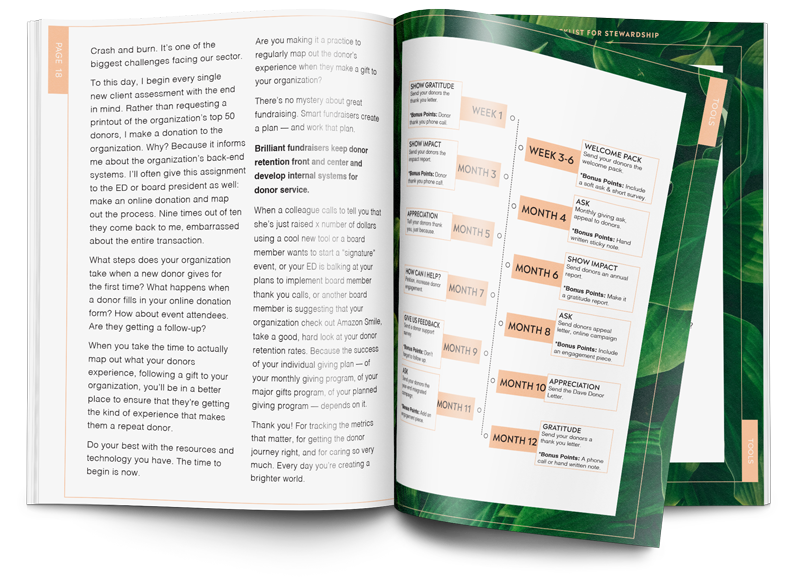 Monthly giving expert Erica Waasdorp takes you step-by-step to start your monthly giving program, providing you with helpful tips, free templates, and and handy tools. Get Monthly Giving Starter Kit! Learn how to gain and retain monthly donors. Topics include crafting the perfect monthly giving ask, best practices for email marketing, and boosting gift amounts. 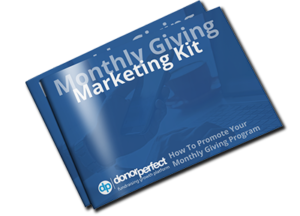 Get Monthly Giving Marketing Kit! 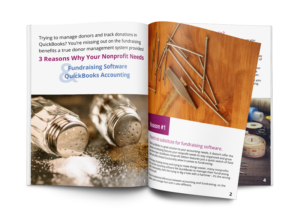 Learn how fundraising software can help you manage donors and raise more money, along with how to choose the right software solution for your nonprofit. 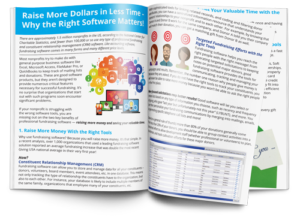 Get Fundraising Software Buyer’s Guide! 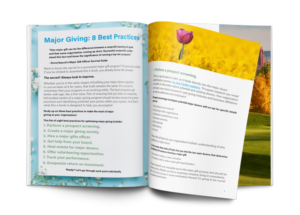 This free e-book delves into best practices that can help you harvest major gifts to fuel your mission. Millions of dollars are currently in donor-advised funds just waiting to be donated to nonprofits like yours. This e-book gives you the facts you need to leverage them. 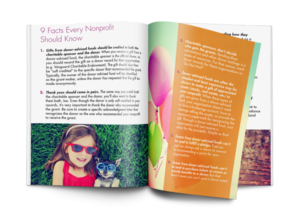 Get Donor Advised Funds E-Book! When it comes to fundraising and accounting software, some things truly are better in pairs. Find out why the right tools matter in this breakdown of nonprofits’ needs. 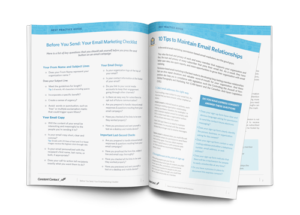 The email success for nonprofits checklist you can use to maximize the chances your email is read and acted upon! Get started with DonorPerfect today.